True “community engagement” has not been achieved. Closed door meetings in the four boroughs, attended by a select few, with no press allowed has the opposite effect of wide reaching and democratic engagement. 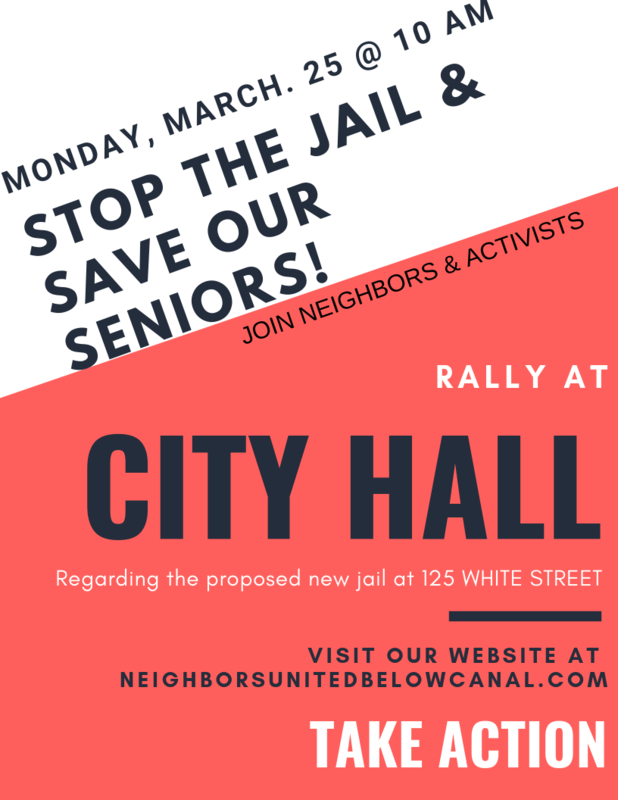 We came together on Monday 25th March 2019 to oppose the official certification date of The Mayor’s Jail plans for all four boroughs, Bronx, Brooklyn, Queens and Manhattan. We are proud to be accompanied by The Chinatown Consolidated Benevolent Assoc. CCBA at this rally. Close Proximity to Construction and Health Risks The Association for Professionals in Infection Control and Epidemiology (APIC) warns against construction and renovation projects in or near health care facilities. Risks include environmental distribution of microorganisms such as airborne contaminants and infectious agents, which are detrimental to the health of older populations. 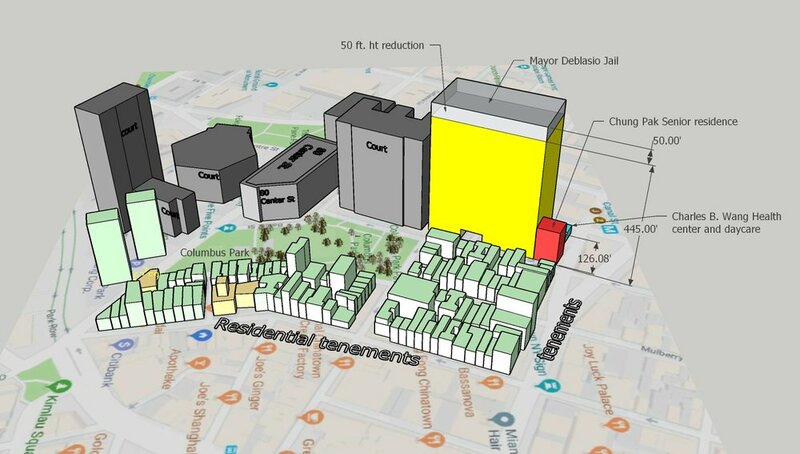 .At the Manhattan jail the overall height has been reduced from 495 ft tall, to 445 ft. tall. That is reflected in the illustration above.